Considering the fact that we’ve been hearing about DirectX 12 for what feels like forever, it’s a little surprising that the number of DX12 titles out there remain few. Heck, one such game was Fable Legends, and that was shut down last month. We’re definitely in the middle of a waiting game for more DX12 titles to get here, but thankfully, those that do exist now prove great for testing. 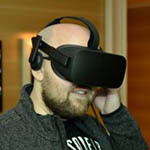 I should be clear about one thing: low-level graphics APIs are designed to benefit low-end hardware better, but when we’re dealing with GPUs that cost over $500, that rules that kind of test useless. 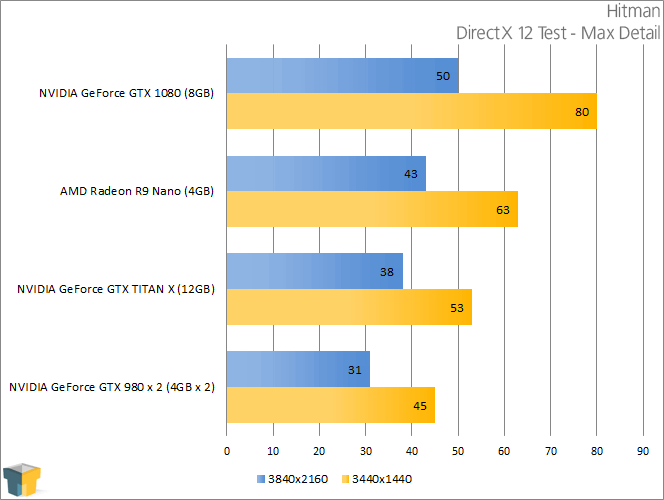 For that reason, I’ve chosen to benchmark these three games as normal; the results might not be specific to low-level DX12 enhancements, but they’re still fair for comparisons against other high-end graphics cards. 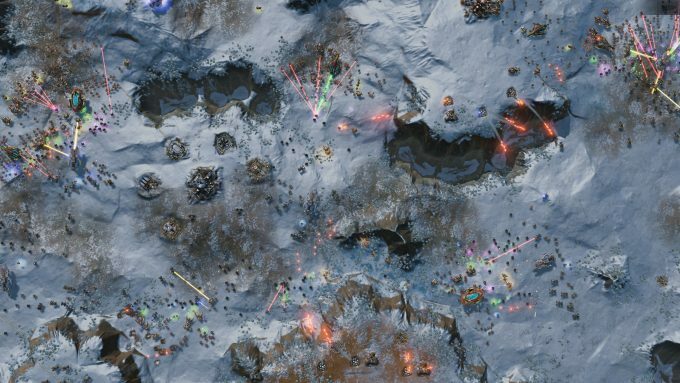 Ashes is a game that AMD hyped up quite a bit as its Radeon graphics cards delivered better DirectX 12 performance than NVIDIA’s GeForce cards could. Proof of that can be seen in the battle between the Nano and TITAN X, where AMD’s lower-spec’d card outperformed NVIDIA’s previous top-dog. 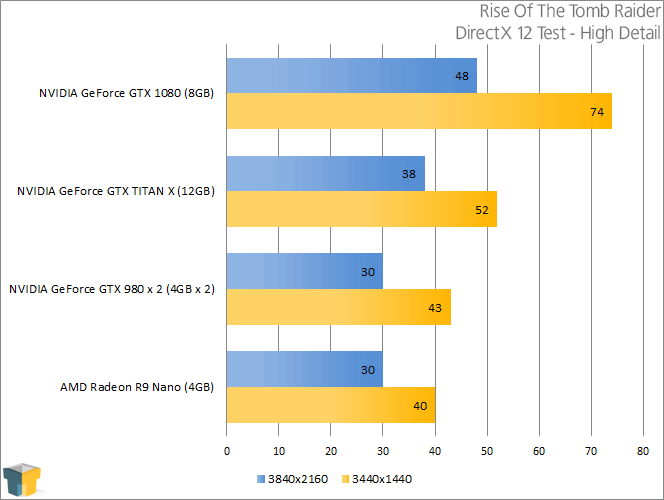 Well, while AMD likes to joke about NVIDIA’s DirectX 12 performance, it might have to stifle its laughter for a bit, as the GTX 1080 proves 25~33% faster than the R9 Nano in this test, and truly blows the TITAN X out of the water. 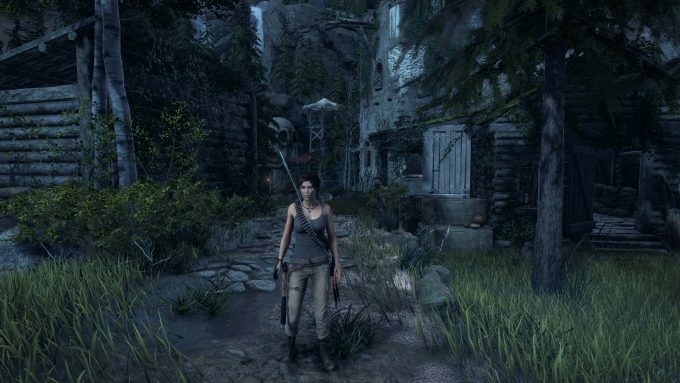 How about Rise Of The Tomb Raider? 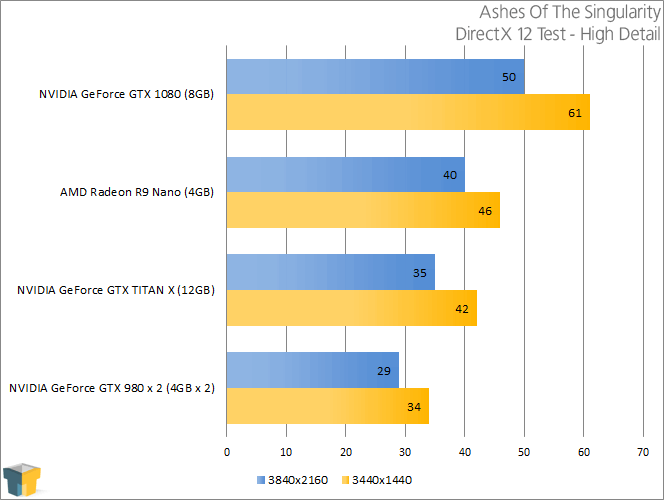 As with Ashes, the GTX 1080’s results here dwarfs those of the TITAN X. However, unlike with Ashes, where AMD’s Radeon R9 Nano performed quite well, RotTR had the opposite effect. The GTX 1080 performs exceptionally well here. 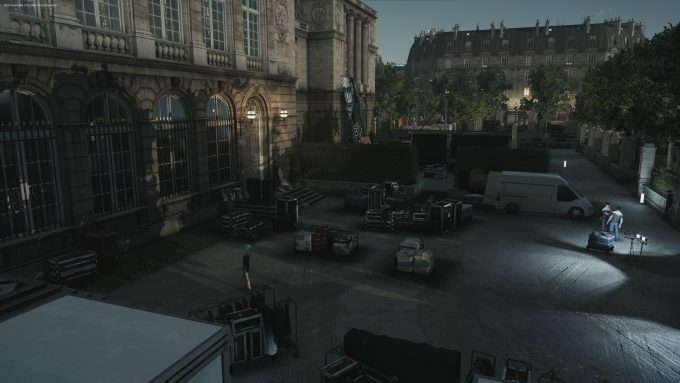 Hitman isn’t the most graphically impressive game, but since it’s one of the few out there to utilize DirectX 12 and has a built-in benchmark, testing with it was an easy choice. Once again, the GTX 1080 rules the roost here, and just in the nick of time, the R9 Nano manages to redeem itself, coming well ahead of both the TITAN X and SLI’d 980s.